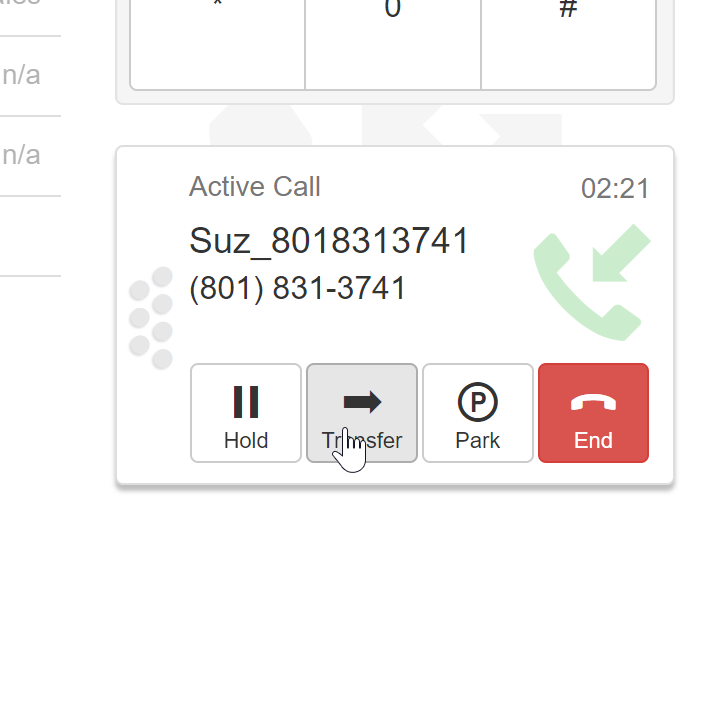 Auto attendant serves as an automated greeting service that sends callers directly to individuals, departments, etc. 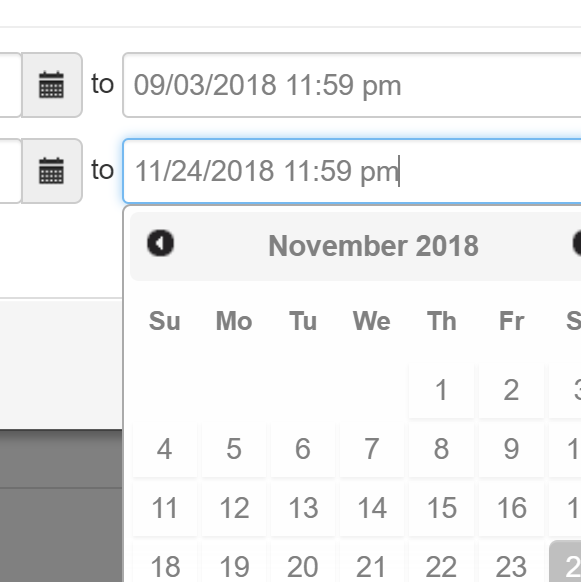 Straight from your online portal schedule and record all of your Holiday greetings and away messages ahead of time. 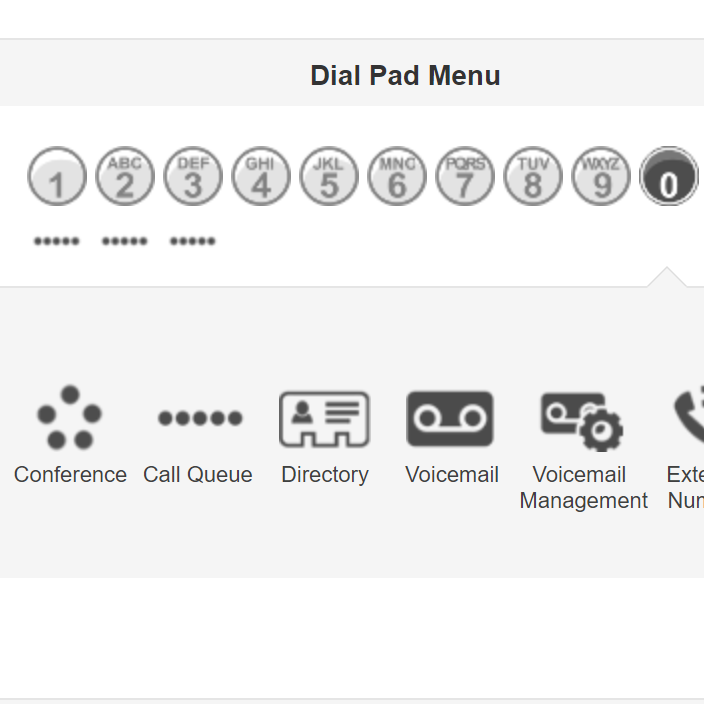 Turn your web browser into a phone system powerhouse and move your business into the future of VoIP technology. 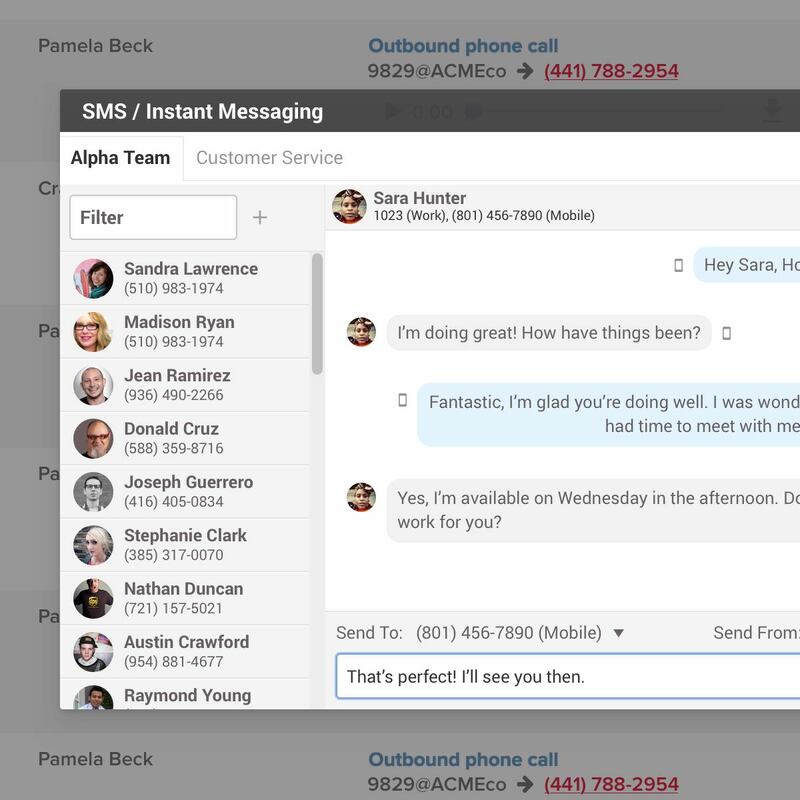 Send and receive SMS messages directly from your business number rather than a personal line. 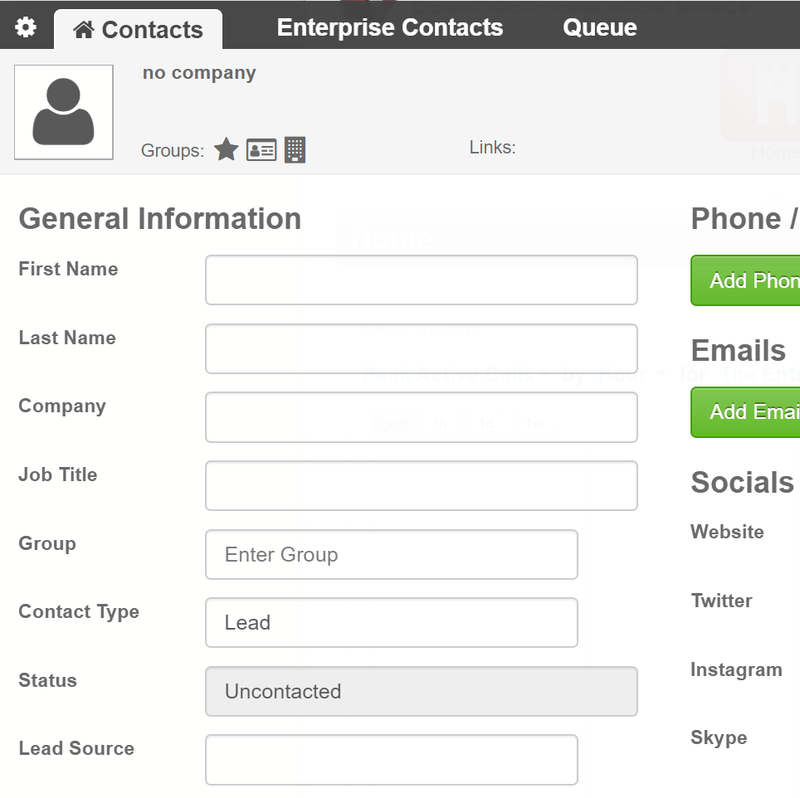 Straight from your inbound call pop add a contact to Fusions personal or enterprise directory. 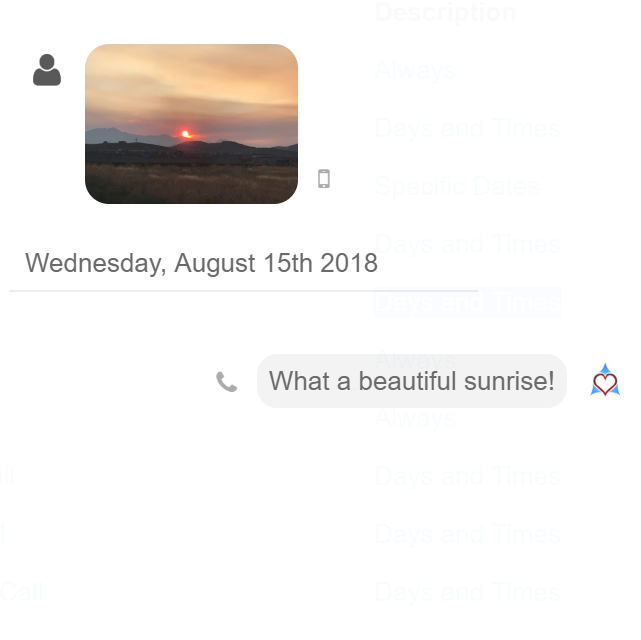 Auto reject any incoming call with an SMS text message, included in all Simplii packages. 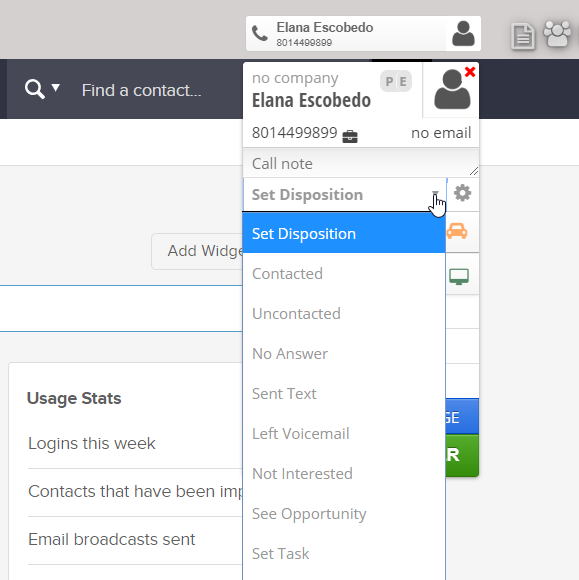 Using presence let's the entire office know if you are availalbe through your deskphone, web portal, or fusion. 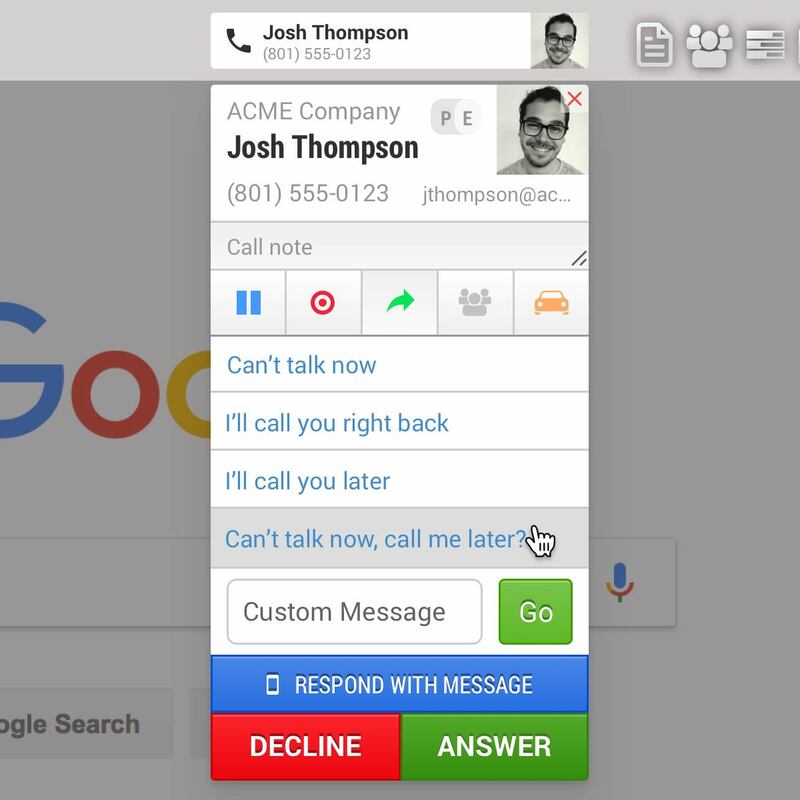 When using Fusions Call Pop, see who’s calling directly from your chrome web browser. 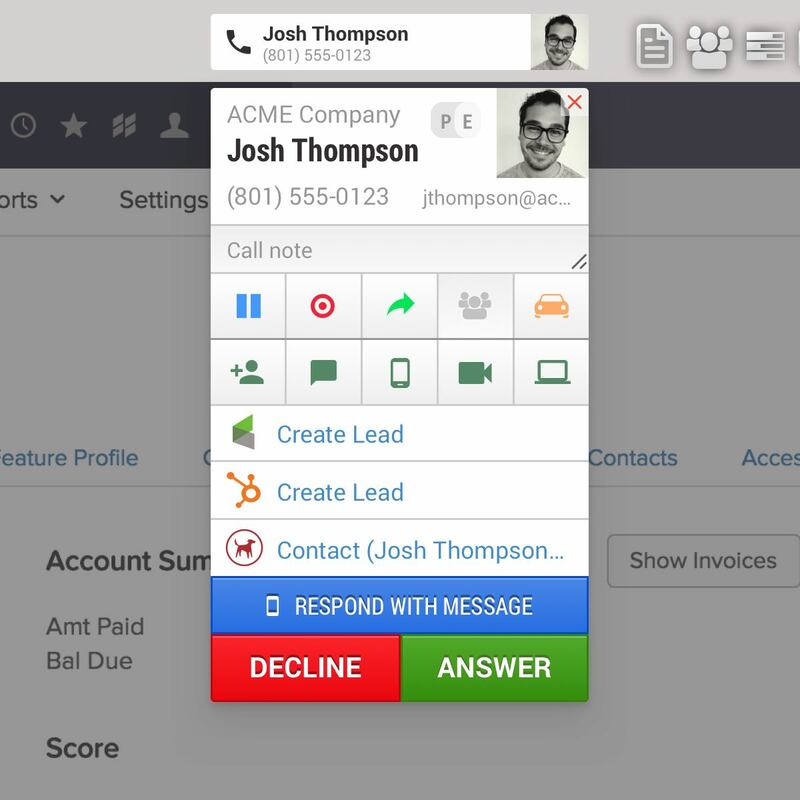 Send group messages and pictures to your customers from your business phone number. 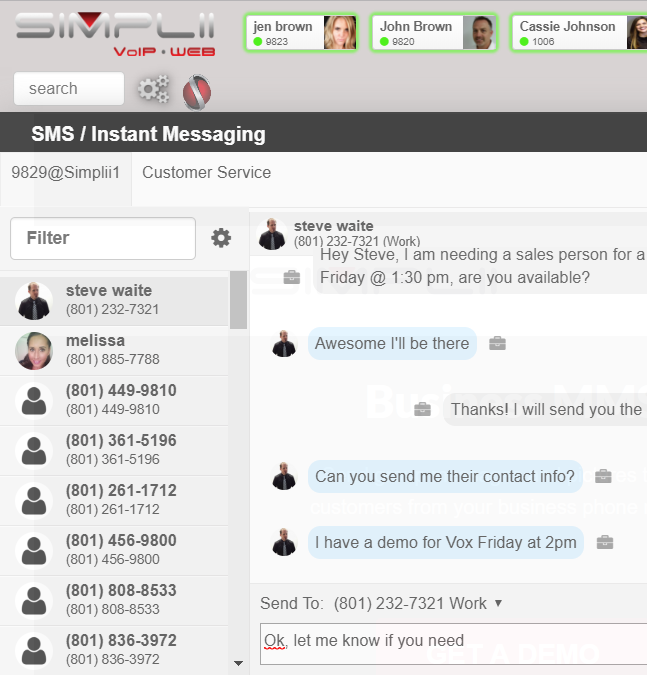 Give all your employees the ability to respond to incoming text messages through your main line! 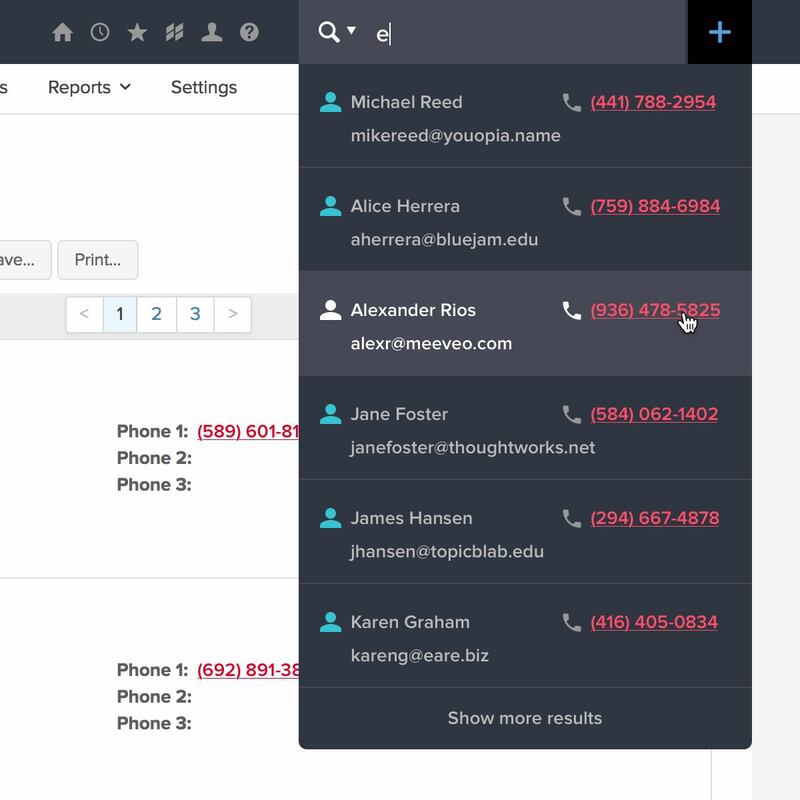 Gain complete control of how your calls flow, and easily make changes in your online portal, anyday, anytime. 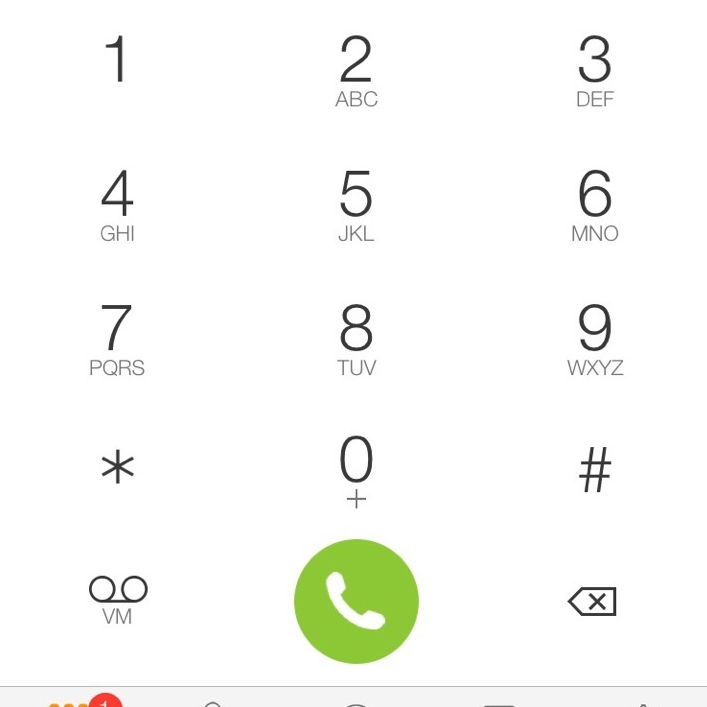 Simplii's Unlimited calling makes it so that your customers never hear a busy signal again. 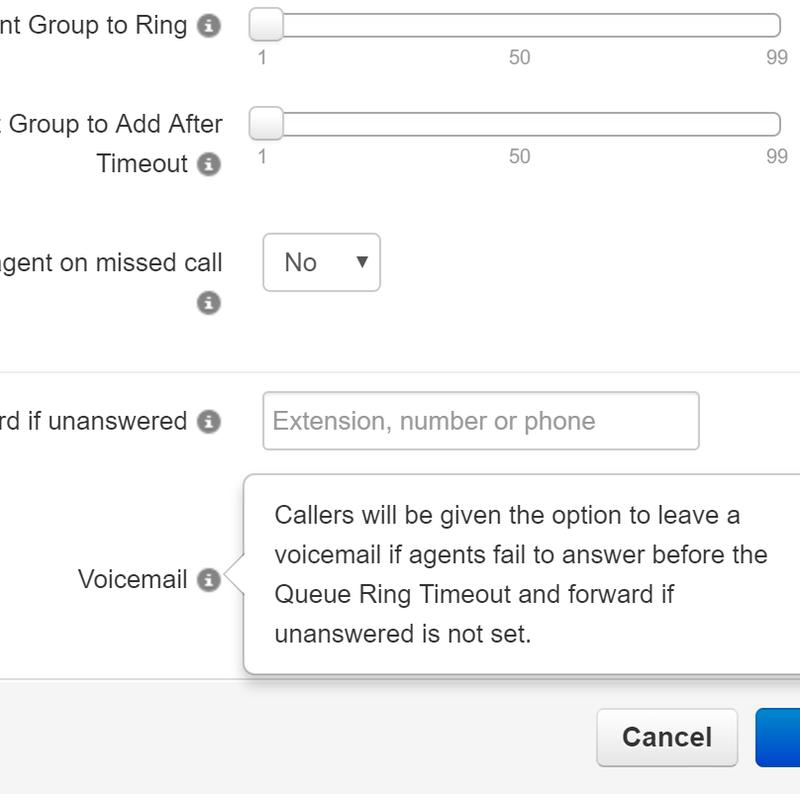 Dynamically pick which phone number callers see for your business before placing an outbound call. 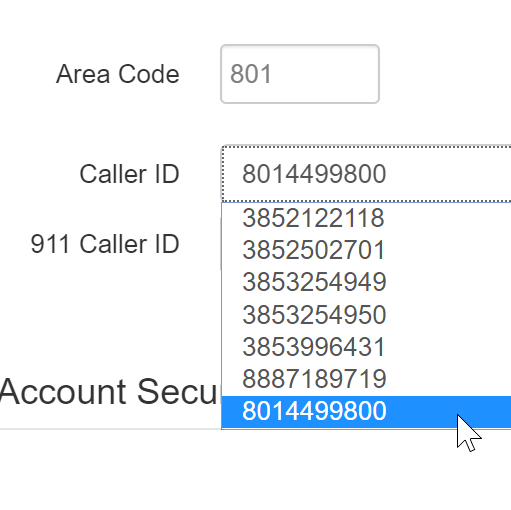 Call any State at anytime, with a phone number showing the appropriate area code. 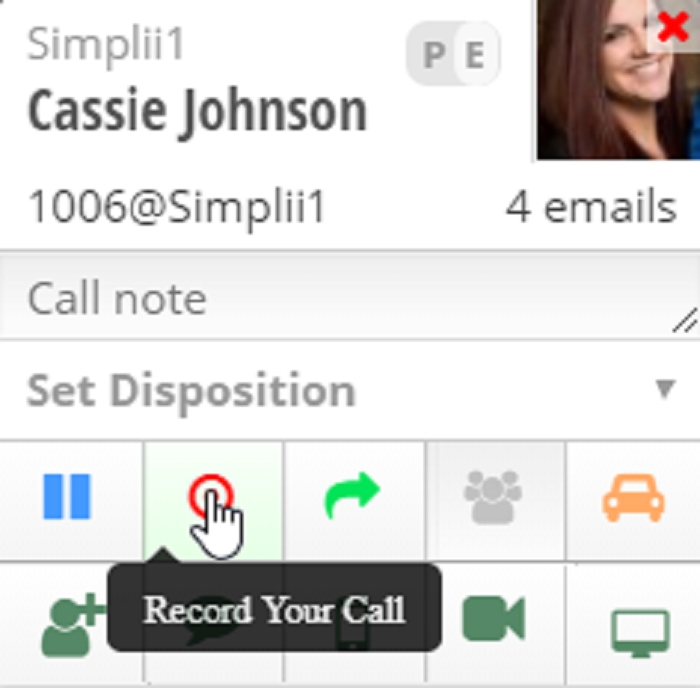 Automatically start recording all of your calls when you sign up on any of Simplii's Fusion packages. 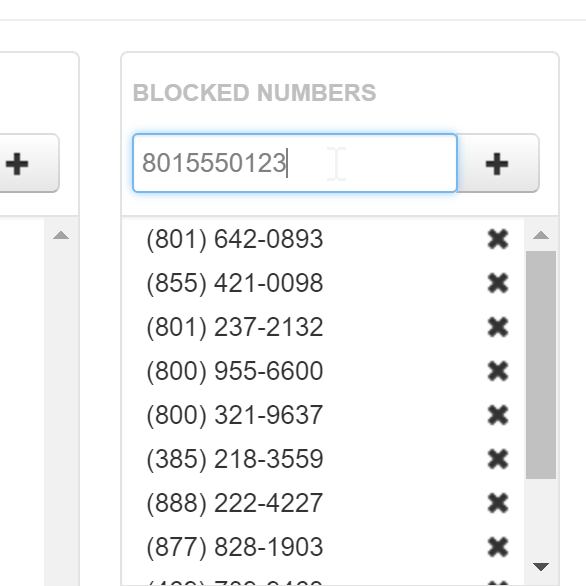 Easily block any and all unwanted calls from reaching your business straight from your Simplii account. 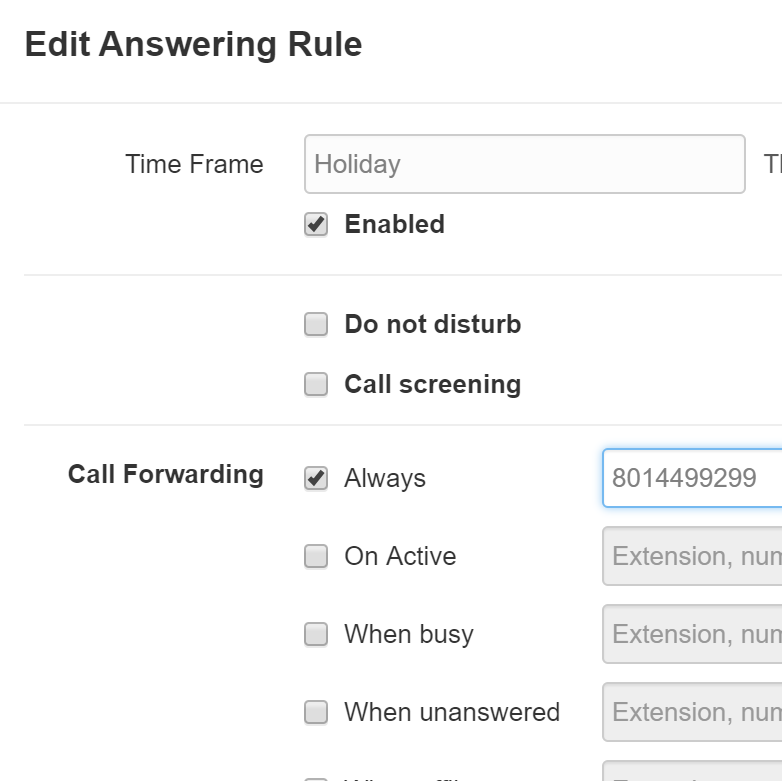 Call forwarding used to be black and white, now you can forward calls as you would like to any user or number. 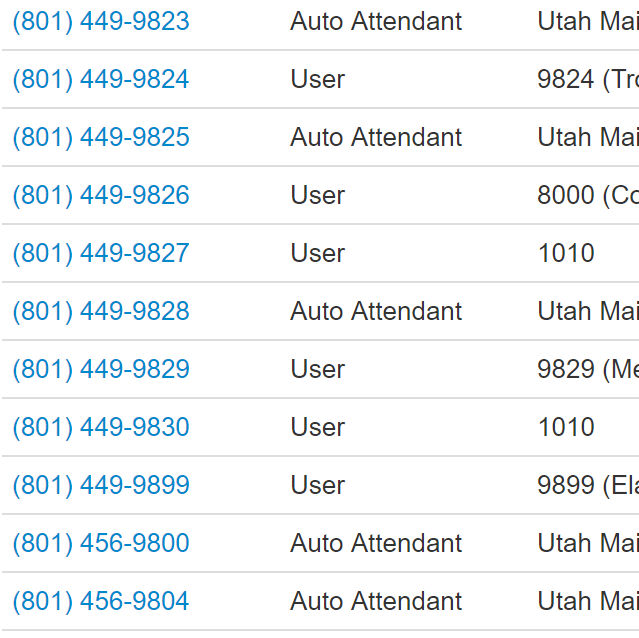 View your recent calls and what numbers they came from all on one page! 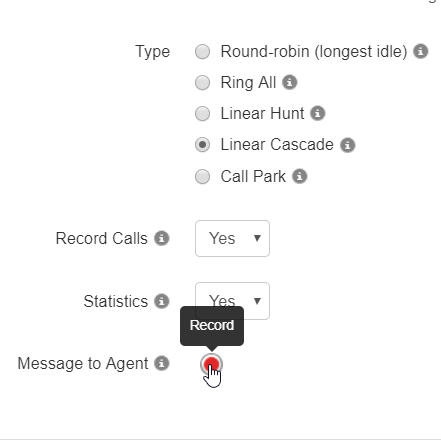 You can also export call data. 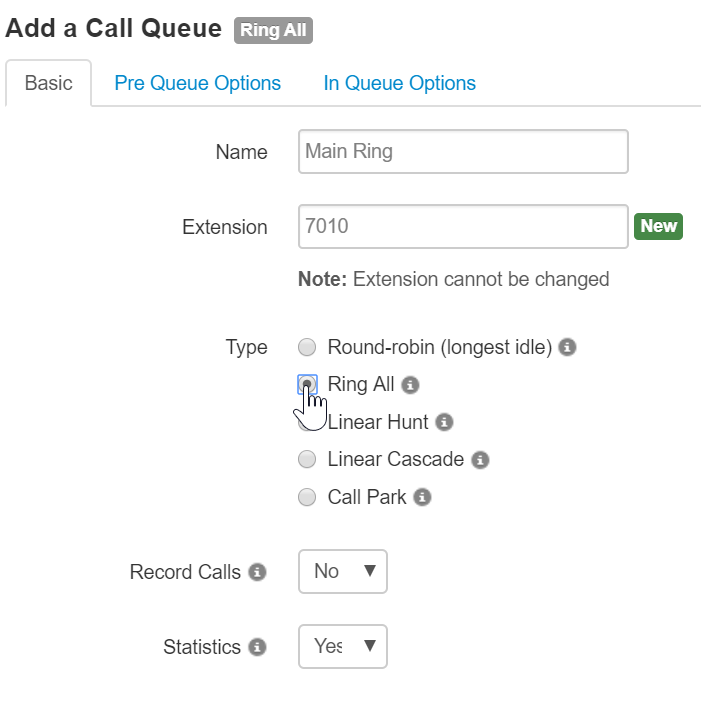 Place an active call on park to allow anyone in the office to retrieve the call. 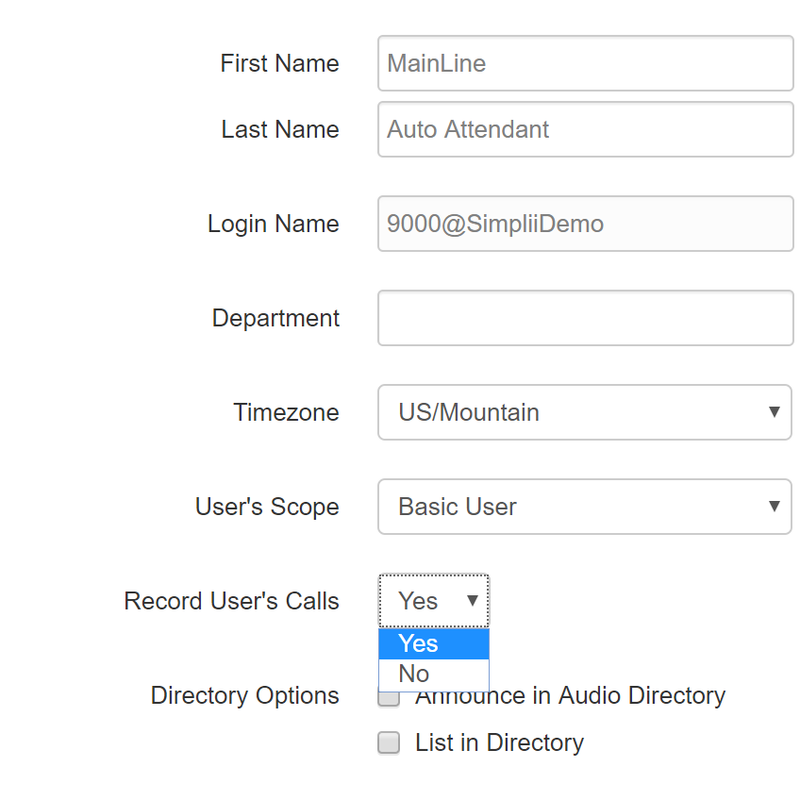 If you are on a phone call and feel like it needs to be recorded, use Simplii's Call Recording on Demand. 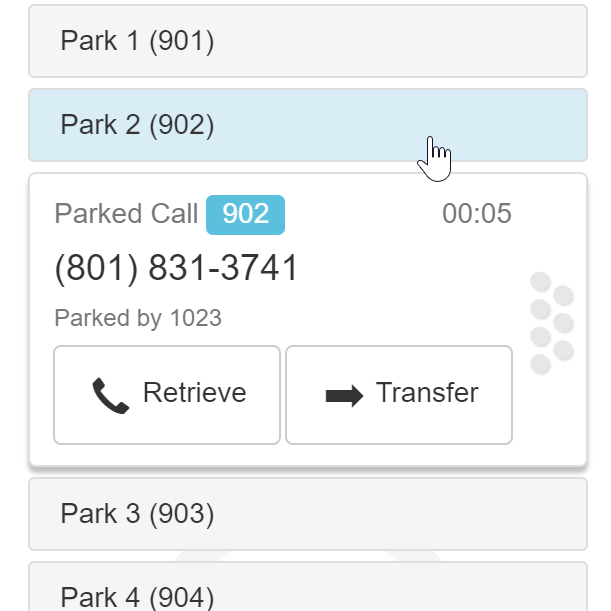 Transfer calls between parties right from your desk phone, soft phone, or online portal. 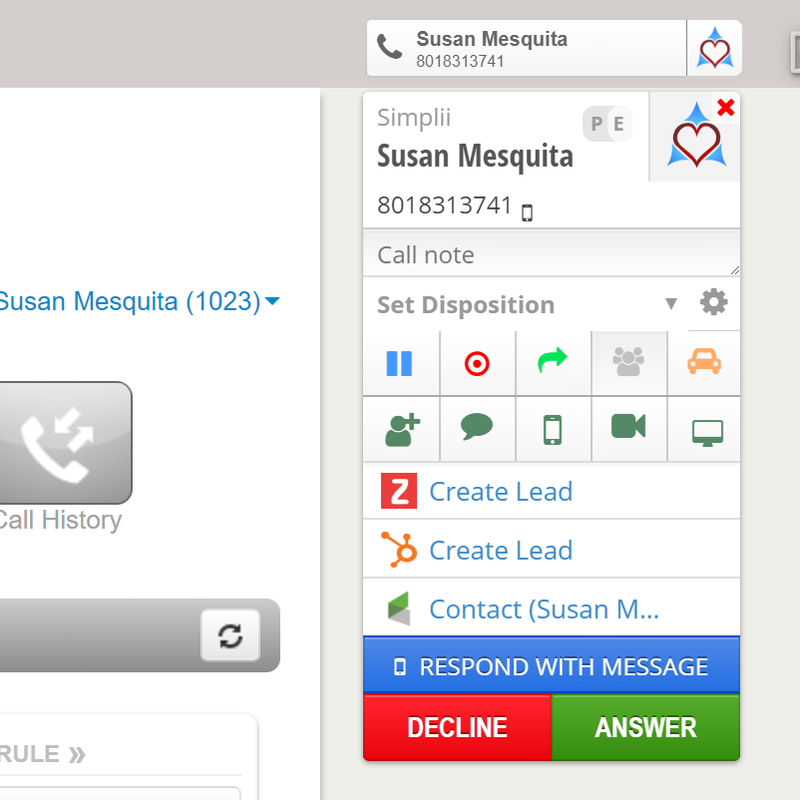 With caller ID you get to decide what business name your customers see when placing an outbound call. 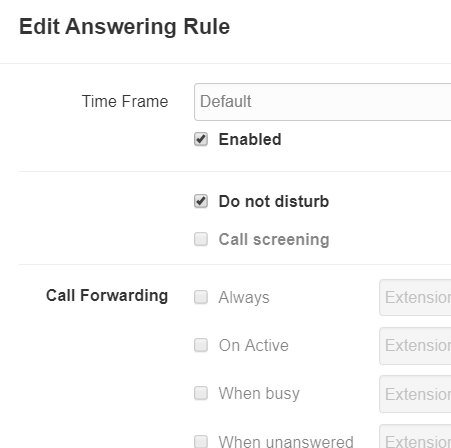 Do not disturb will prevent your phone from notifying you of incoming calls and will send people straight to voicemail. 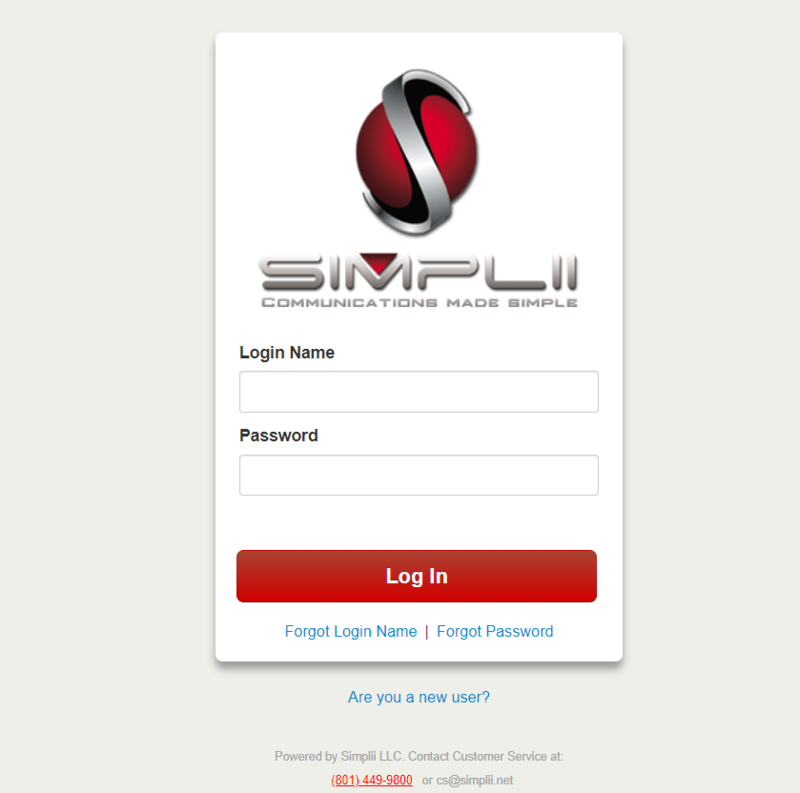 Simplii is Multi-Site Compatible, let us help your technology work together between each of your businesses locations. 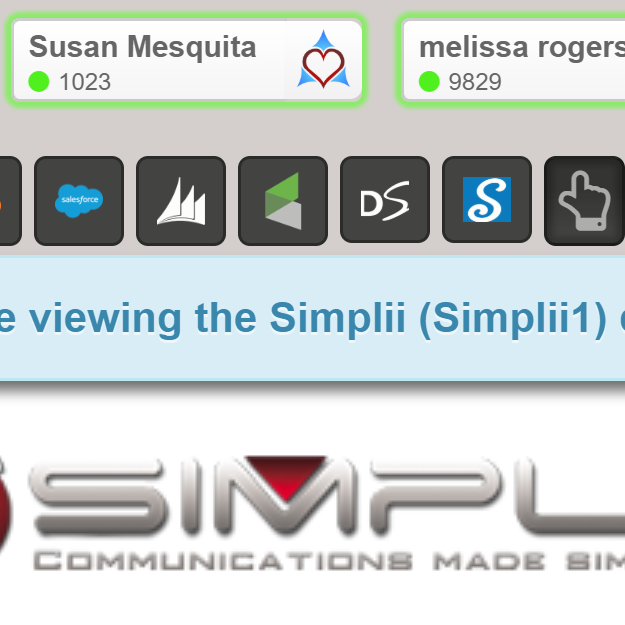 Access fundamental information about how your company utilizes Simplii's system to boost productivity. 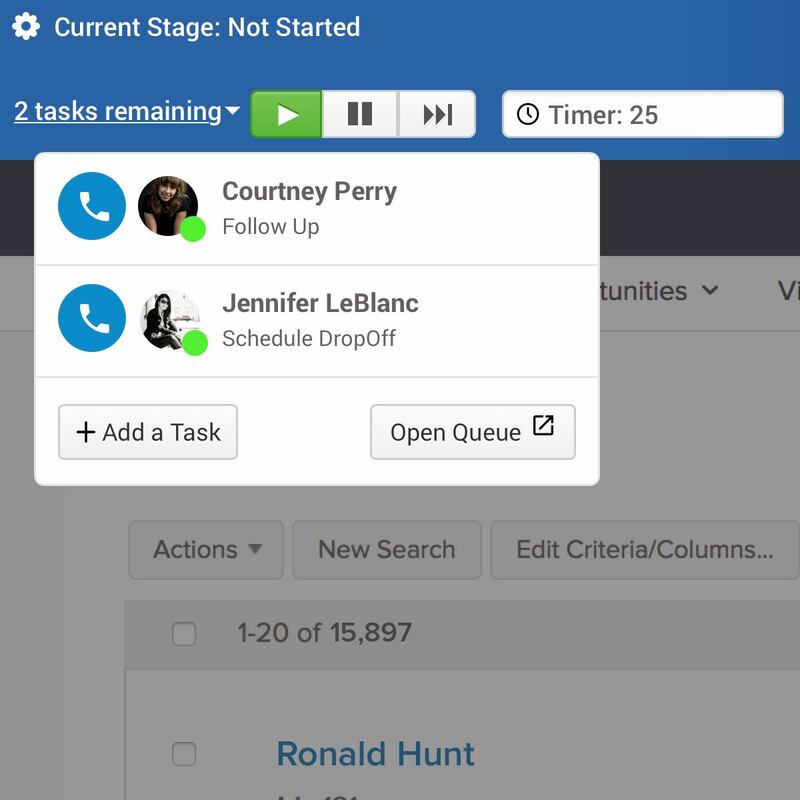 Keep track of your employees hours by using this feature to let them log into and out of call queues when needed. 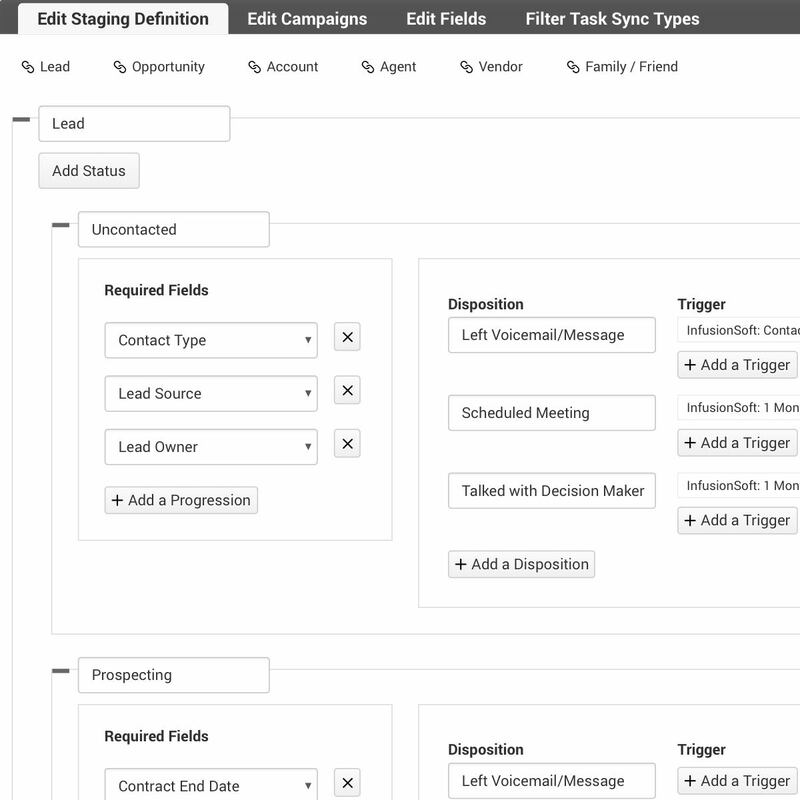 Listen into agents phone calls, then Barge into the call to create a three way conversation between parties. 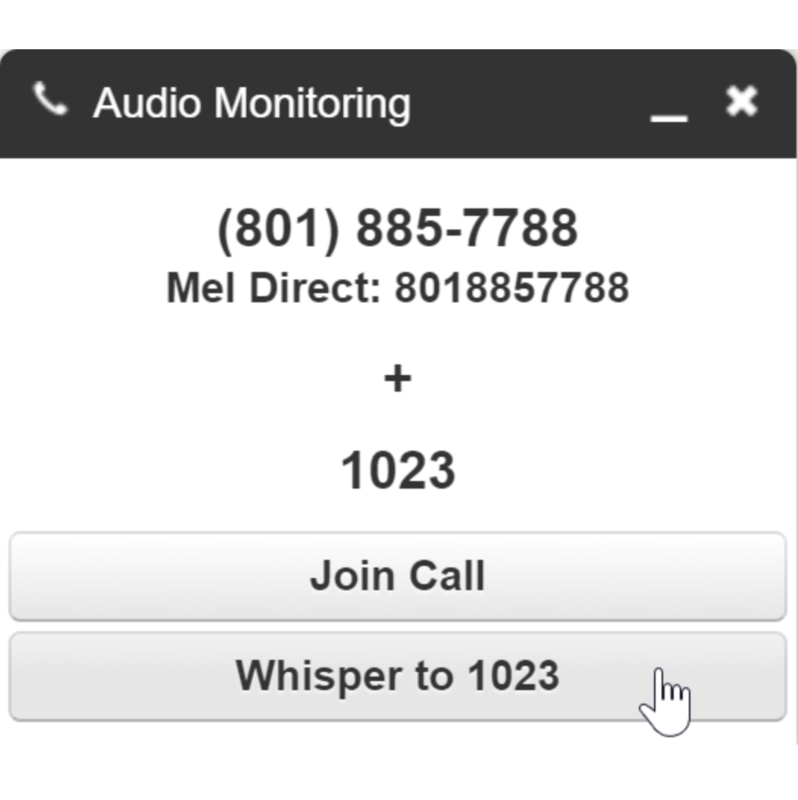 For quality control, or just because, listen into any conversation happening within your organization. 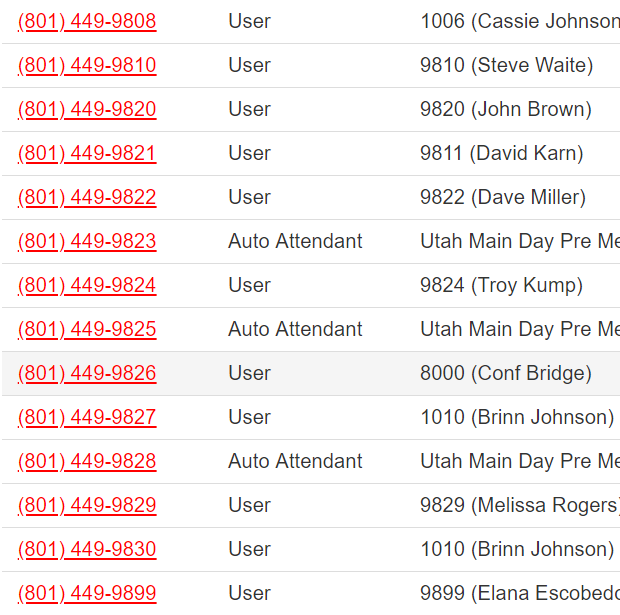 Call Center reporting provides a wide variety of reports to fulfill your business needs. 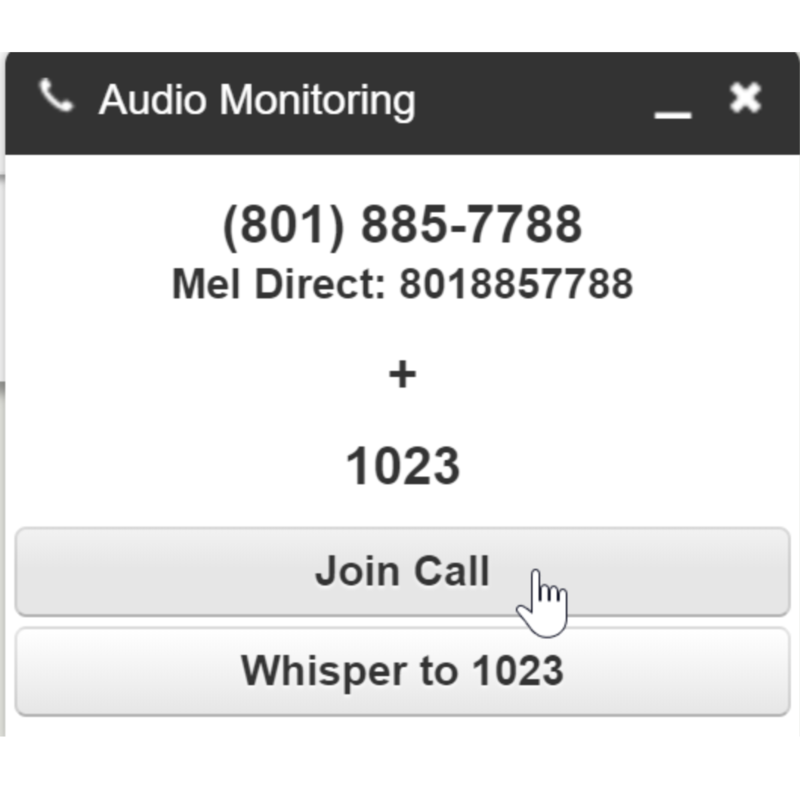 Whisper into a phone call to coach and train your employees during an live call. 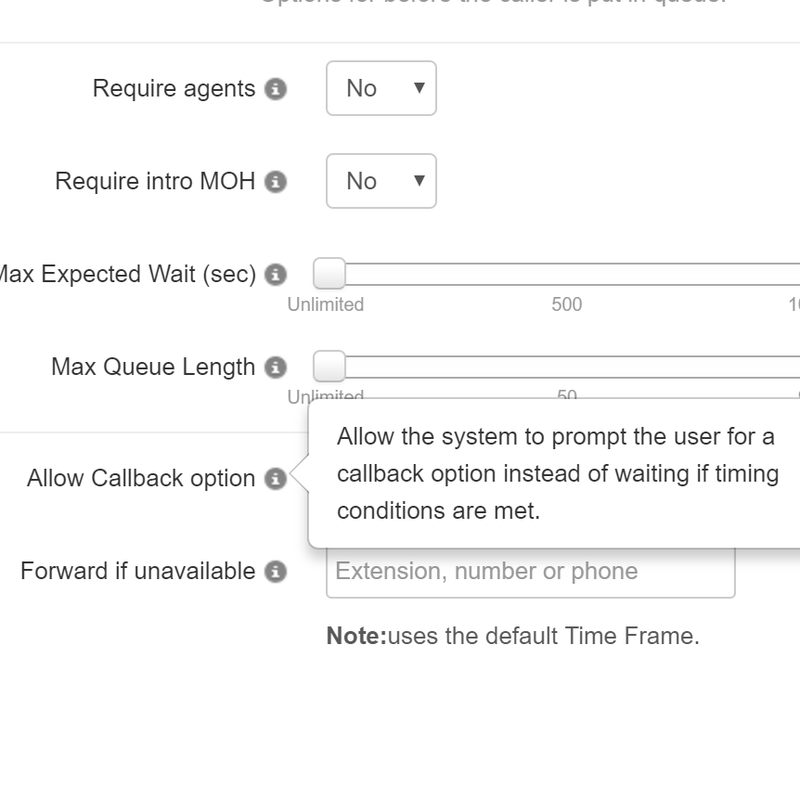 Unlimited call queues means you get to choose from our different call queue types, then set up as many as you'd like. 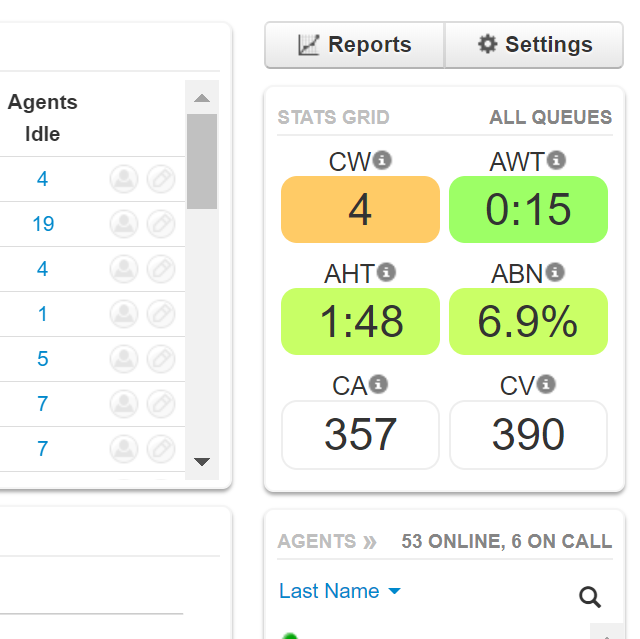 Receive an In Queue call back from an agent when your wait time is longer than expected. 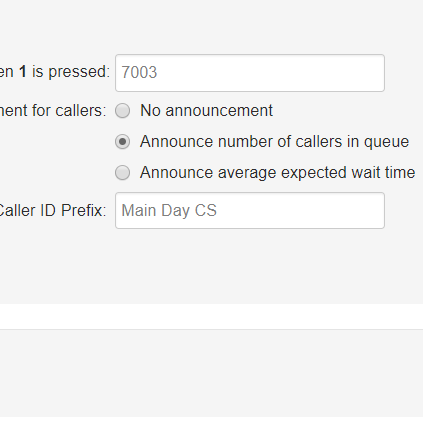 At specific intervals during your customers time on hold, allow them to escape from the call queue and leave a message. 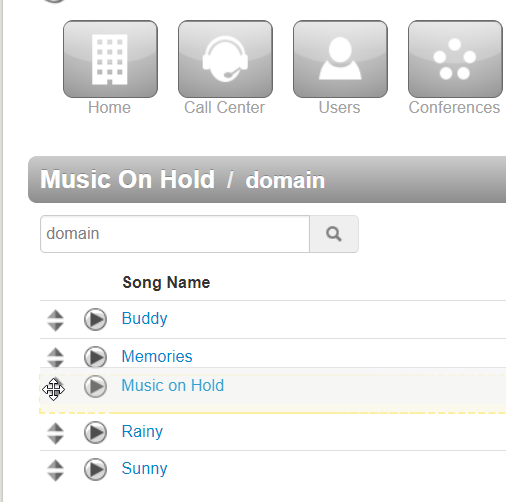 Through your online portal upload Custom Hold Music using multiple different file types. 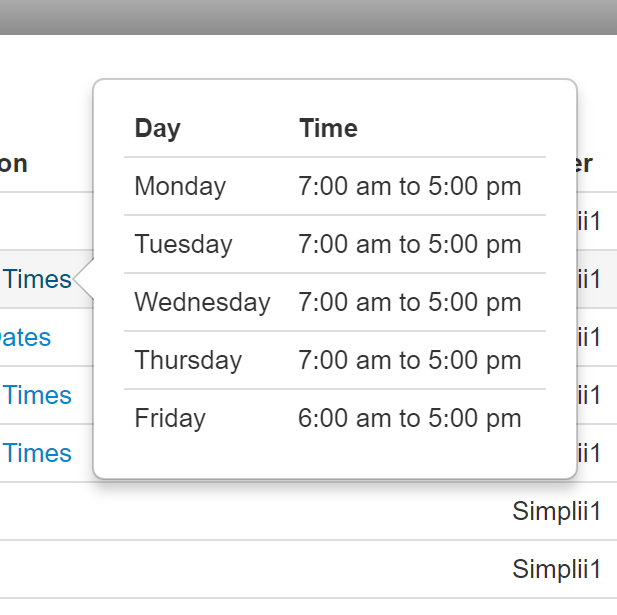 Set the days and times you would like your business open straight from your Simplii portal. 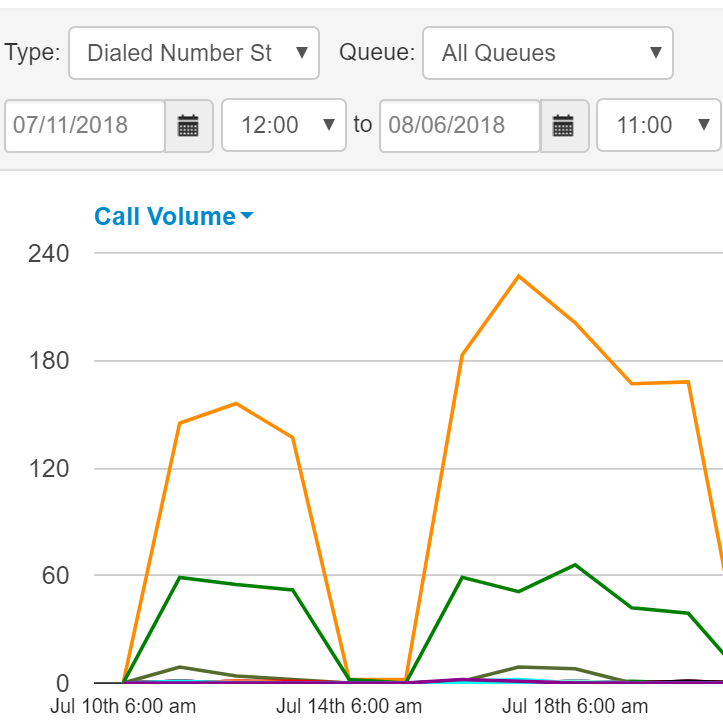 Let callers know how long their wait time is going to be when in line to be answered by a representativ. 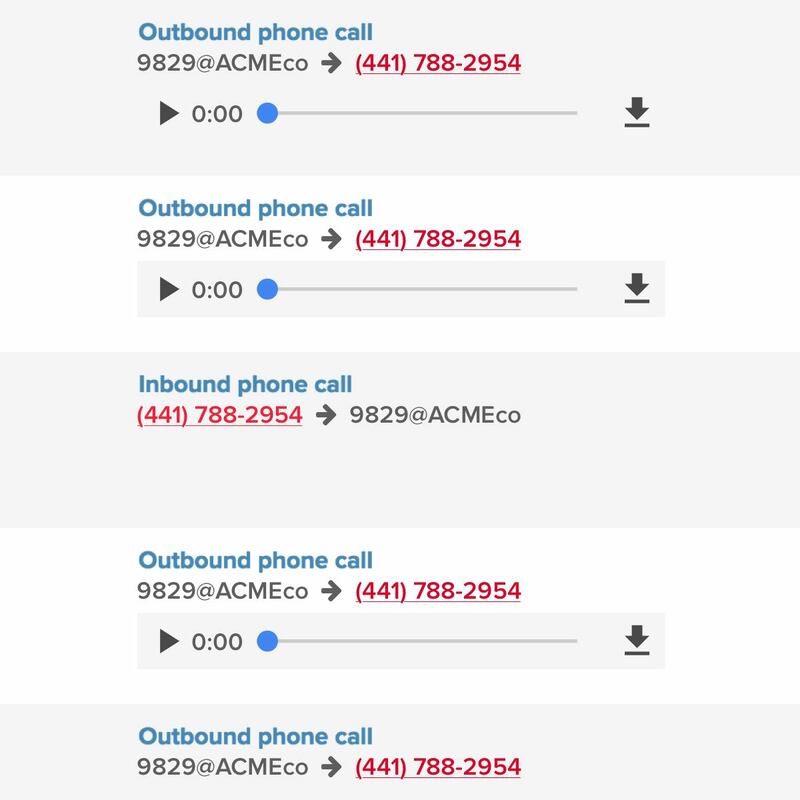 Unique audible messages play to agents depending on which queue the customer is currently ringing in on. 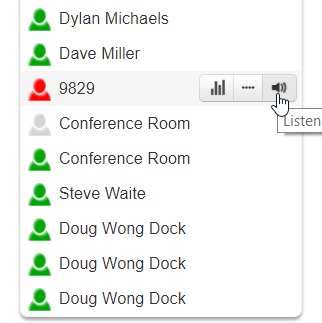 Host a quick three way conference call through your phone, or host an entire group through a conference bridge. 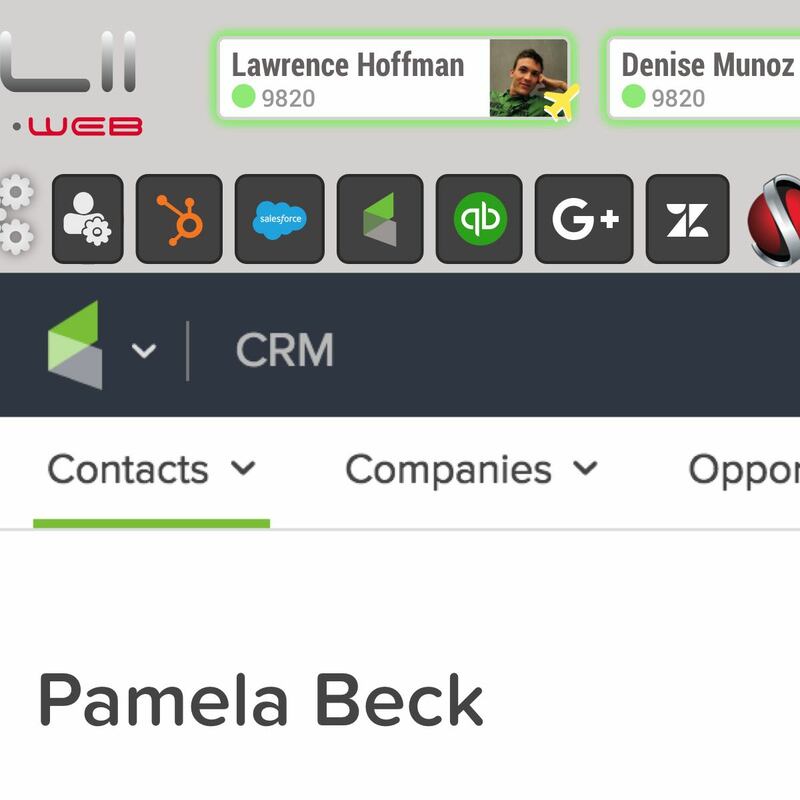 Have an integrated CRM with Simplii? 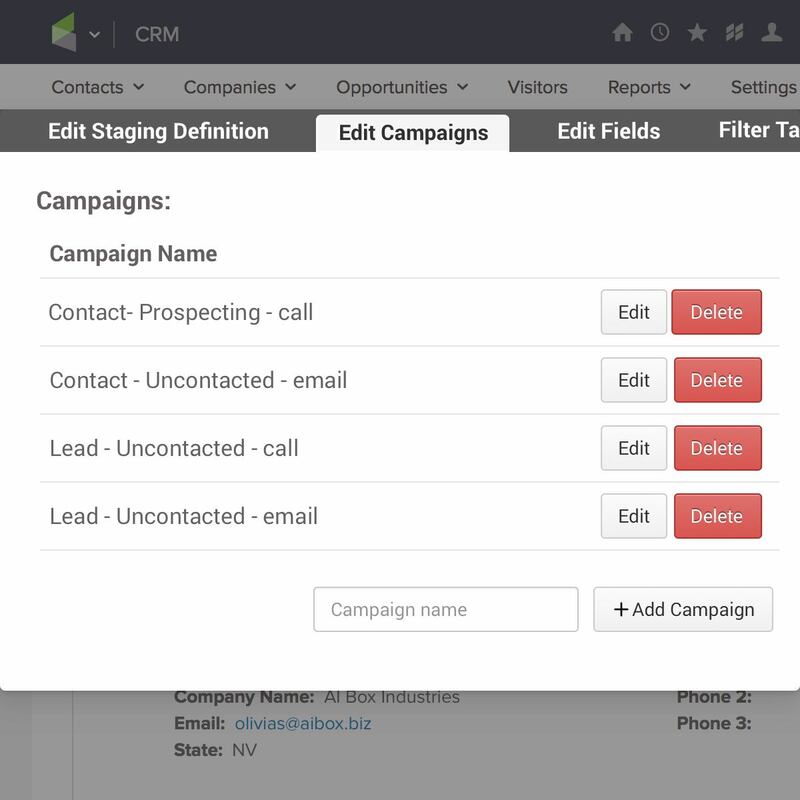 Enter customer information into Fusion, which automatically passes it to your CRM. Faxing on the fly! 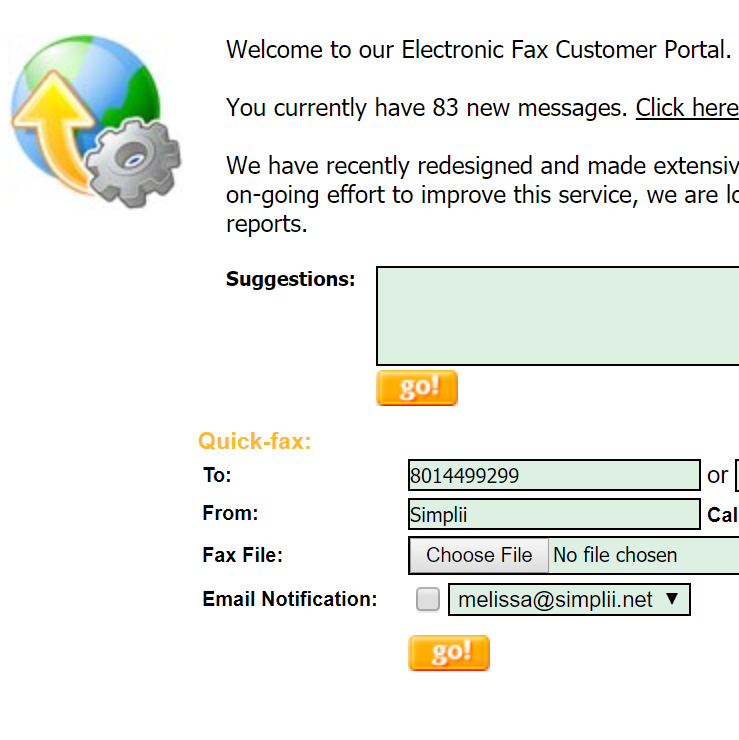 E-Faxing allows you to fax documents using your online portal, mobile device or fax machine. 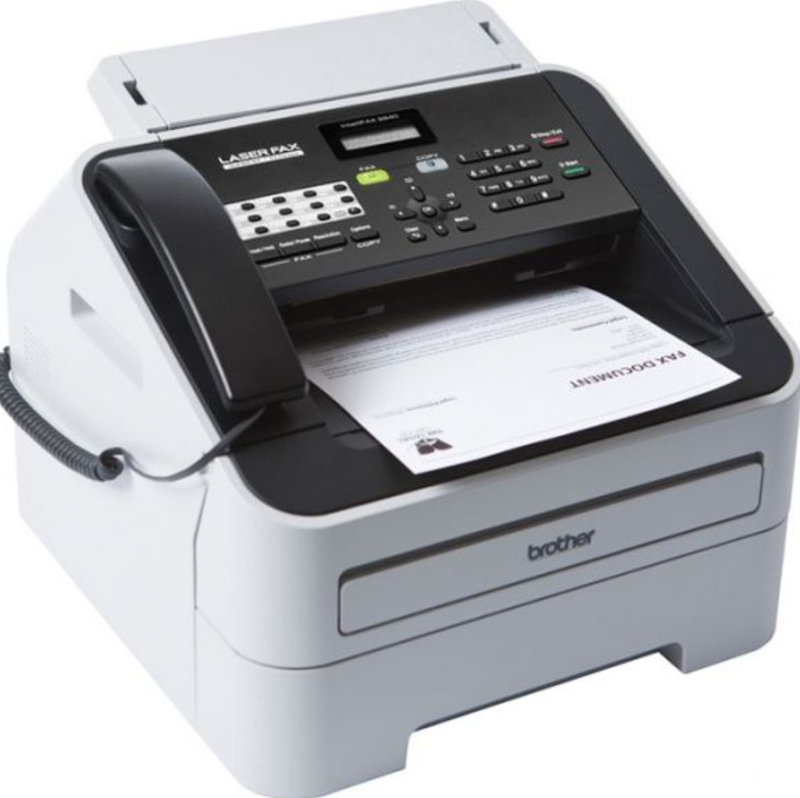 Convert your existing analog fax device or number to our VoIP faxing system using an analog to VoIP converter. 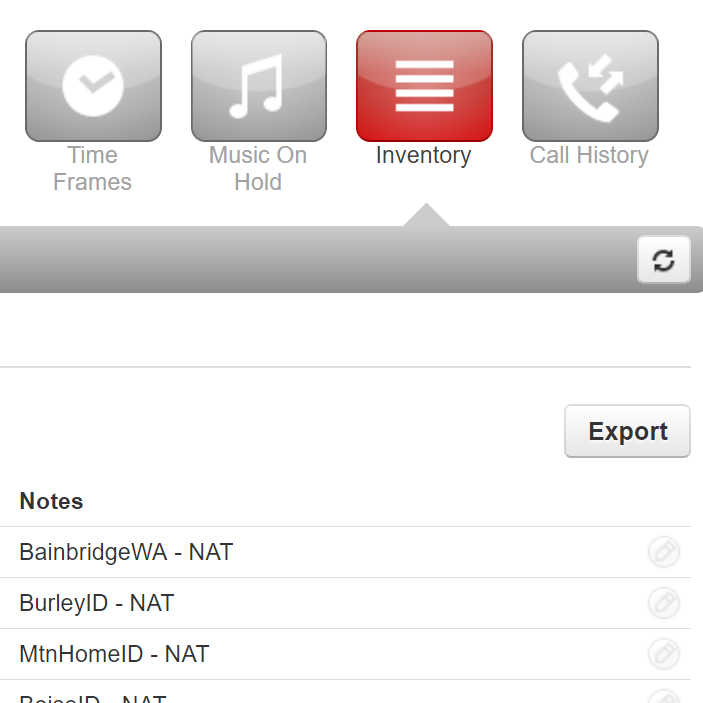 Simplii has mobile soft phone applications that are available on both IOS and Android devices. 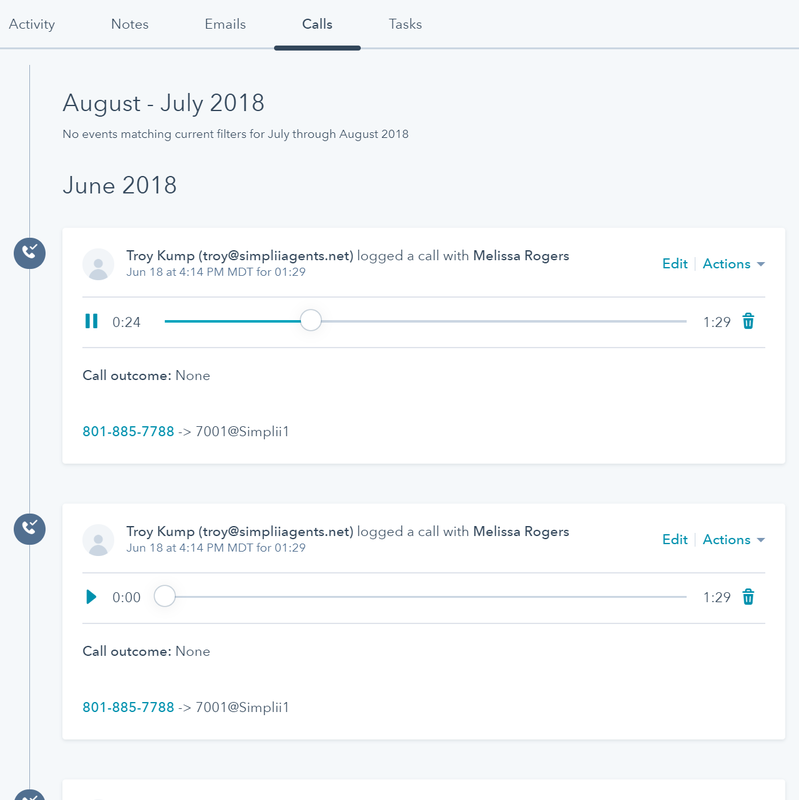 Easily make business calls on the go using a soft phone on your cell phone or computer. 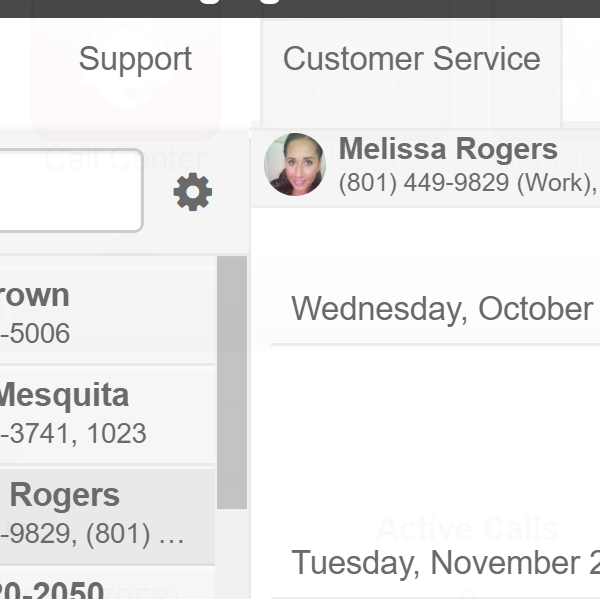 Send out a page from any phone in your office to either an individual or group. 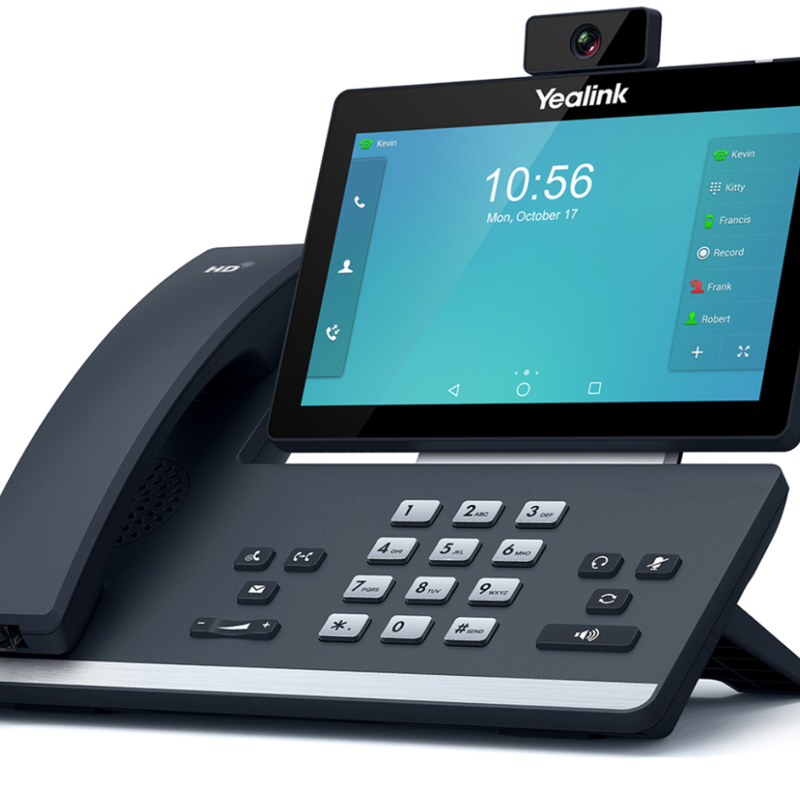 Capable of making announcements directly from your desk phone to overhead paging devices. 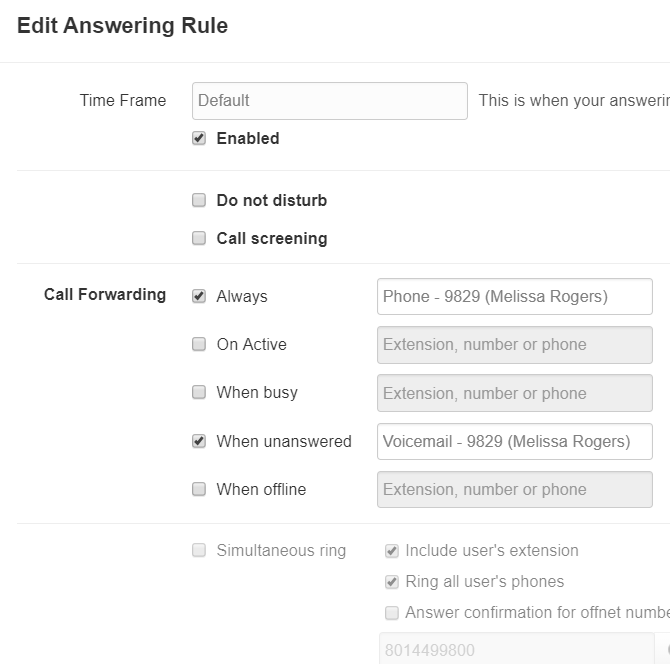 Use Direct Inward Dialing to have all calls coming into your DID number route any way you would like. 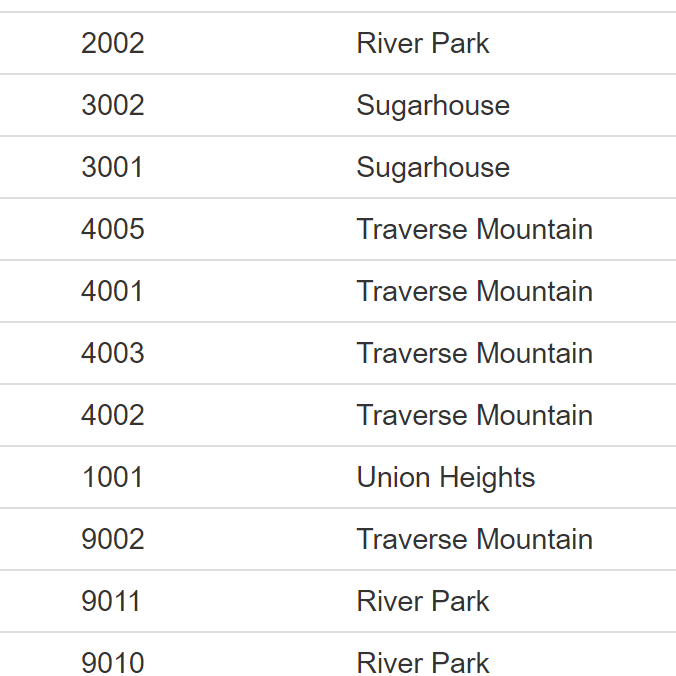 Use our Market tracking numbers to see which of your marketing matieral is getting the most phone traffic. 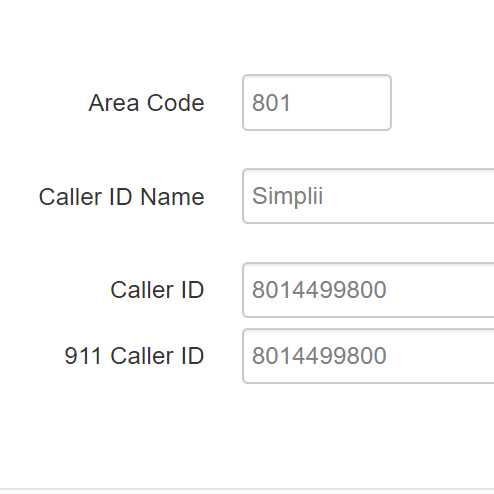 As a Simplii customer you get to choose from the wide variety of Local Phone Numbers that Simplii has to offer. 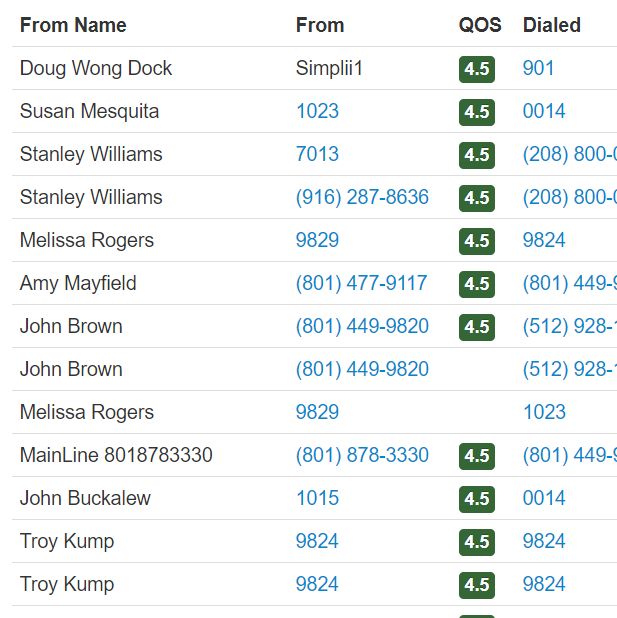 Purchase toll free numbers in a variety of ranges to give your customers free inbound calling. 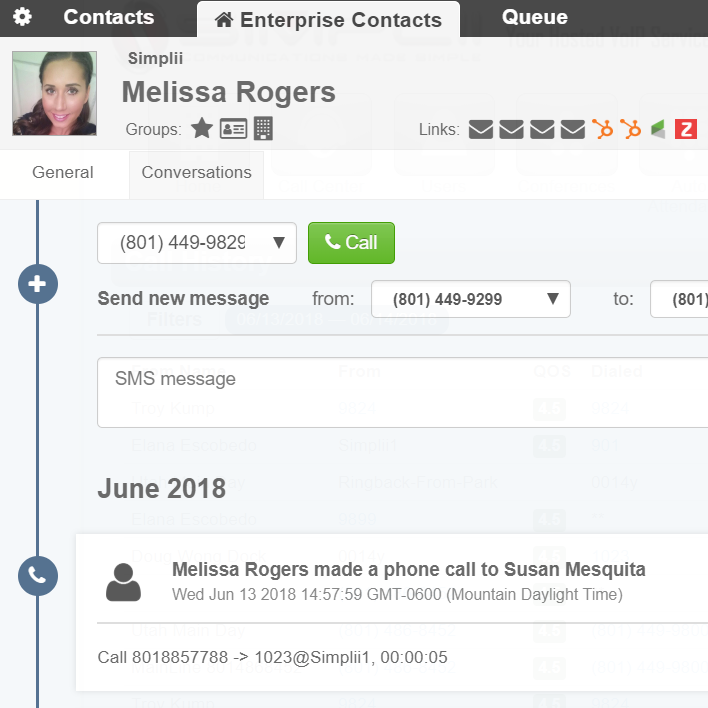 Simplii has 24/7 over the phone support and maintenance for all Simplii customers! 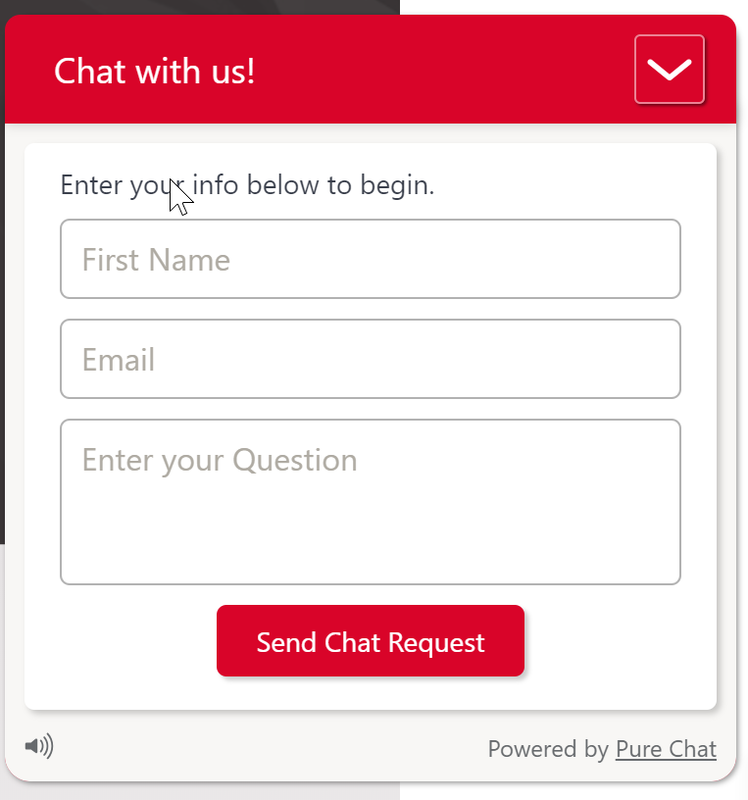 Want a personal touch? 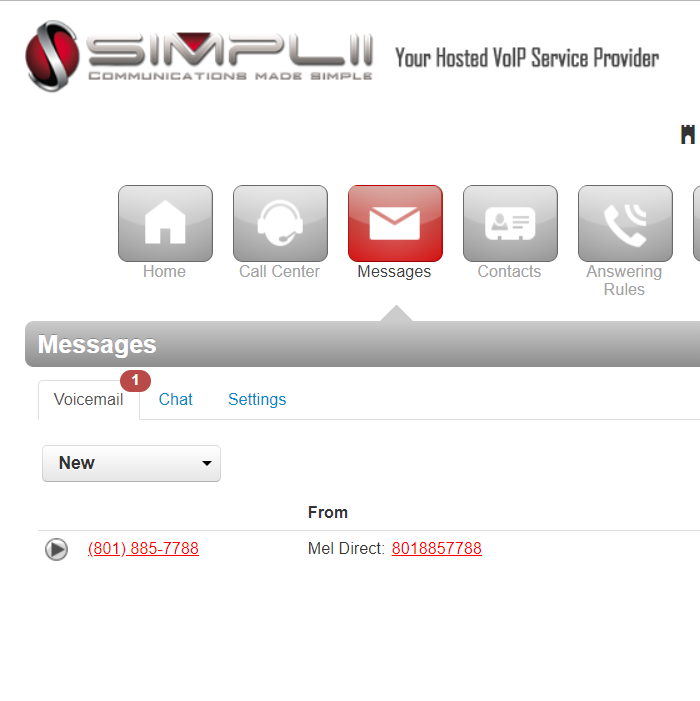 Simplii has local onsite support for all customers that would like to opt-in. 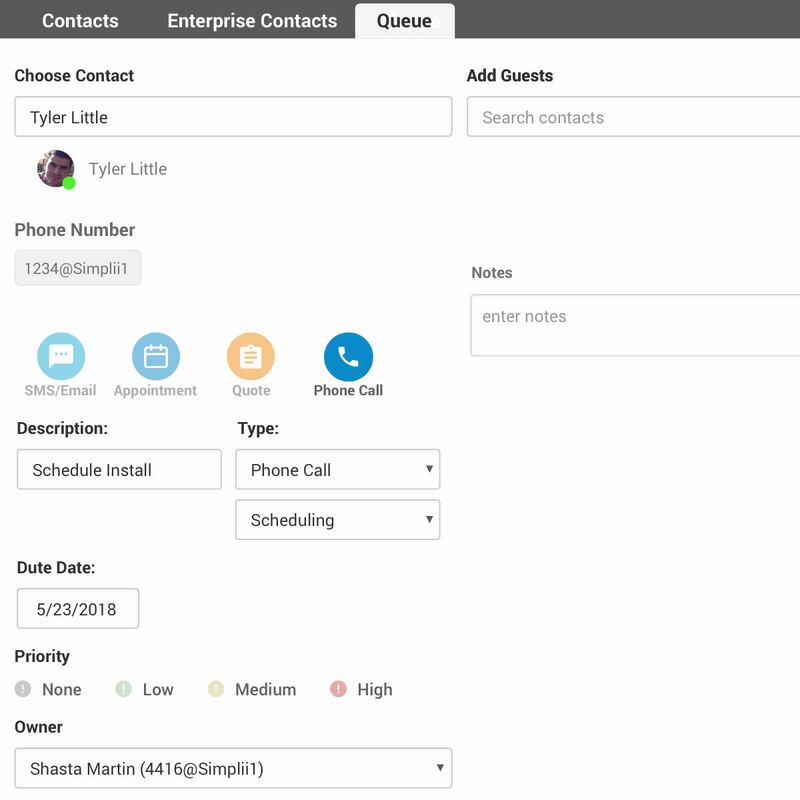 Are you looking to have a knowledgeable tech install, and train your team during your new phone system implementation? 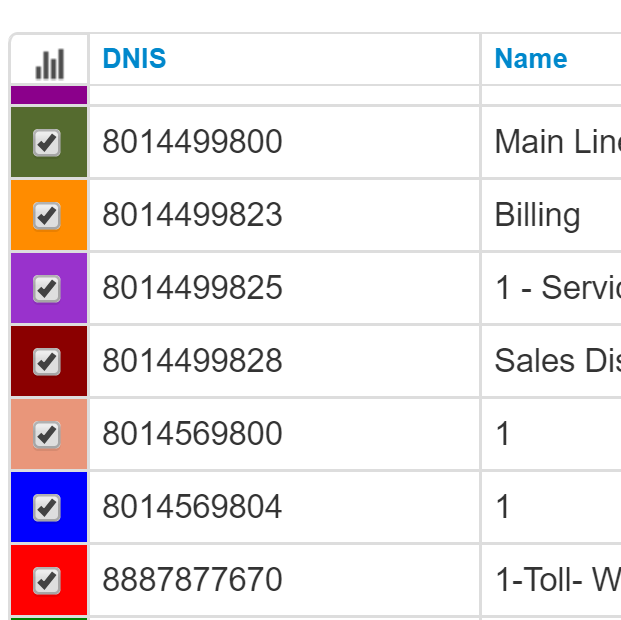 We pay extra attention to how your network is set up in regards to working with Simplii’s system. Ease your mind knowing that your equipment is covered under Simplii's warranty, and get back to the things that matter. 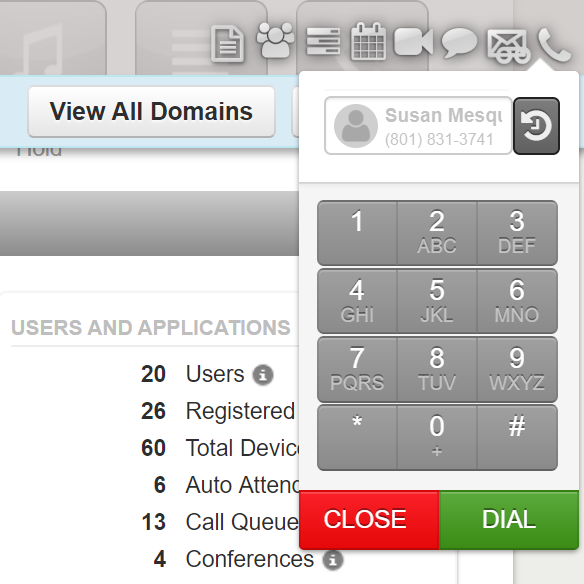 Log into our dynamic Web-Based User Portal and have most of Simplii's features at your fingertips. 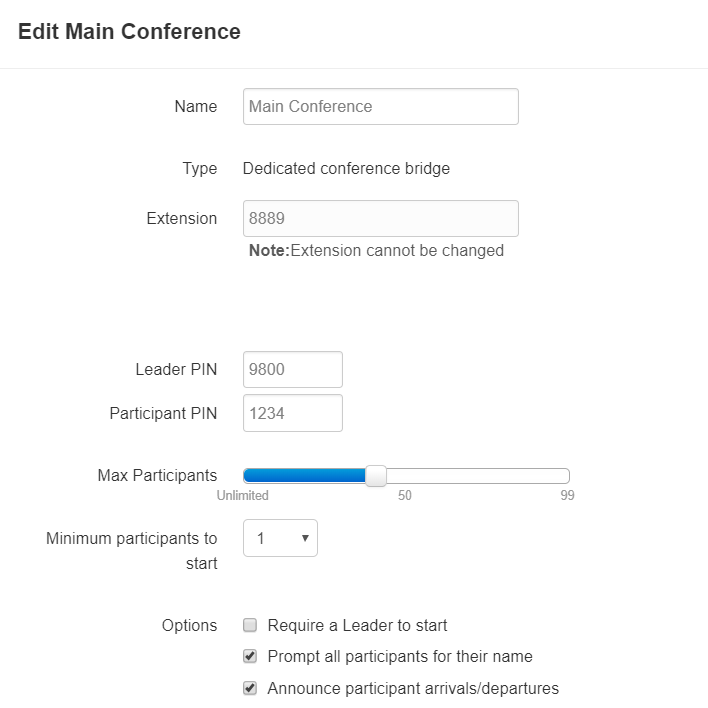 There are no limitations on the number of extensions you can add to your account. 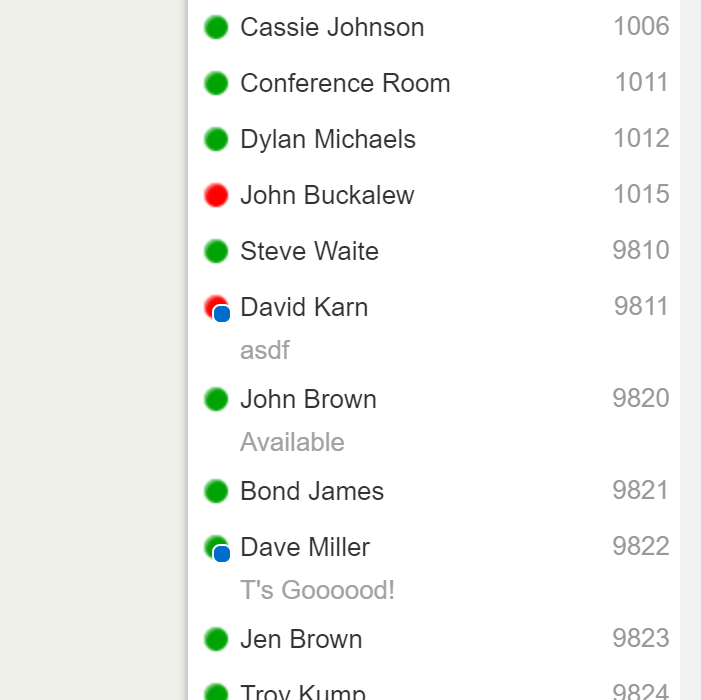 Allow your employees to monitor, answer, or transfer calls for each other with Shared Line Appearance. 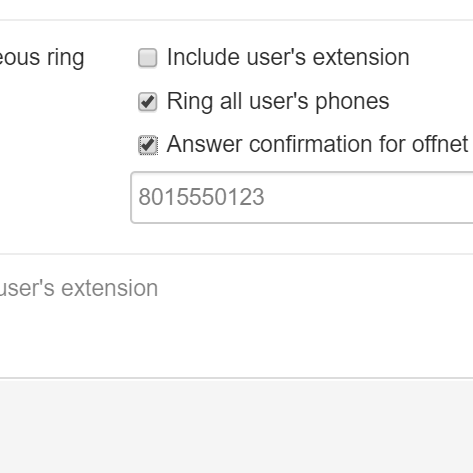 Set up Simultaneous Ring and have incoming calls ring your desk phone, soft phone, and cell phone all at the same time. 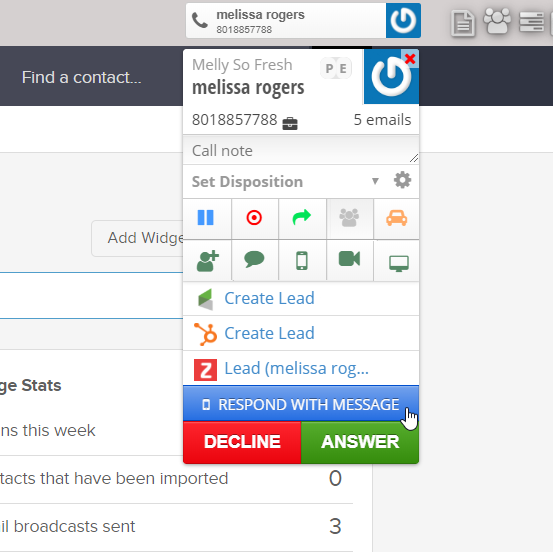 Access your voicemails from multiple devices, and get multiple types of notifications depending on your preferences. 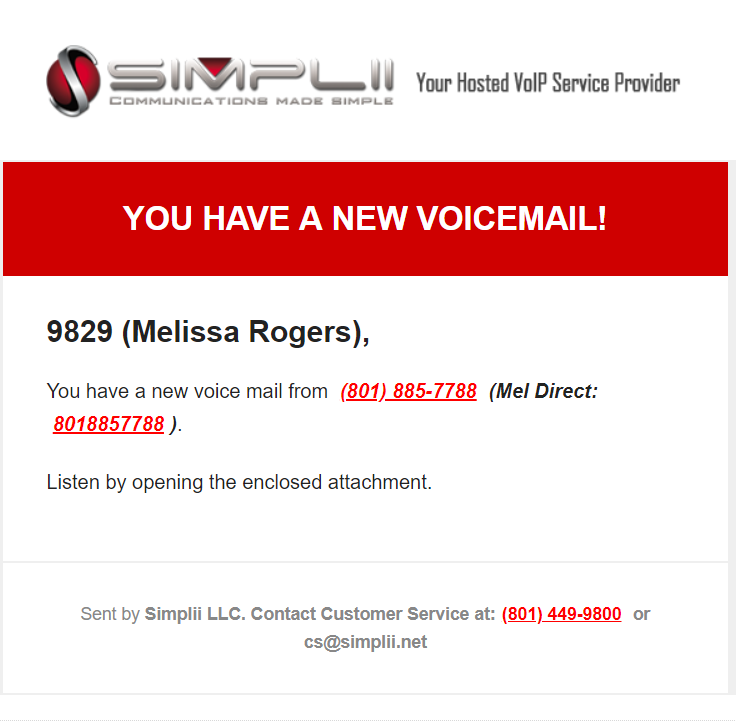 Voicemail to email gives you the ability to have any new voicemail's sent to your email inbox as an audio recording. 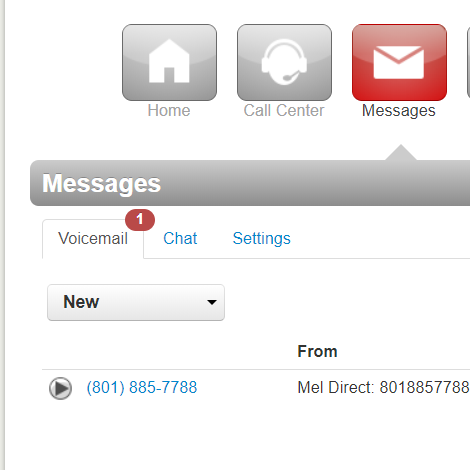 Voicemail direct to transfer allows users to leave a voicemail directly with the intended party without waiting longer. 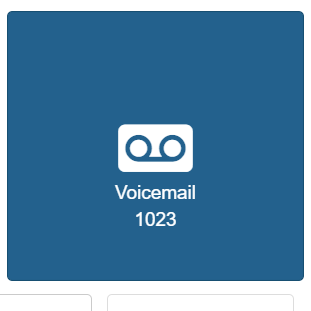 The voicemail indicator shows up as an icon on your Simplii portal and phone when you have a new voicemail message. 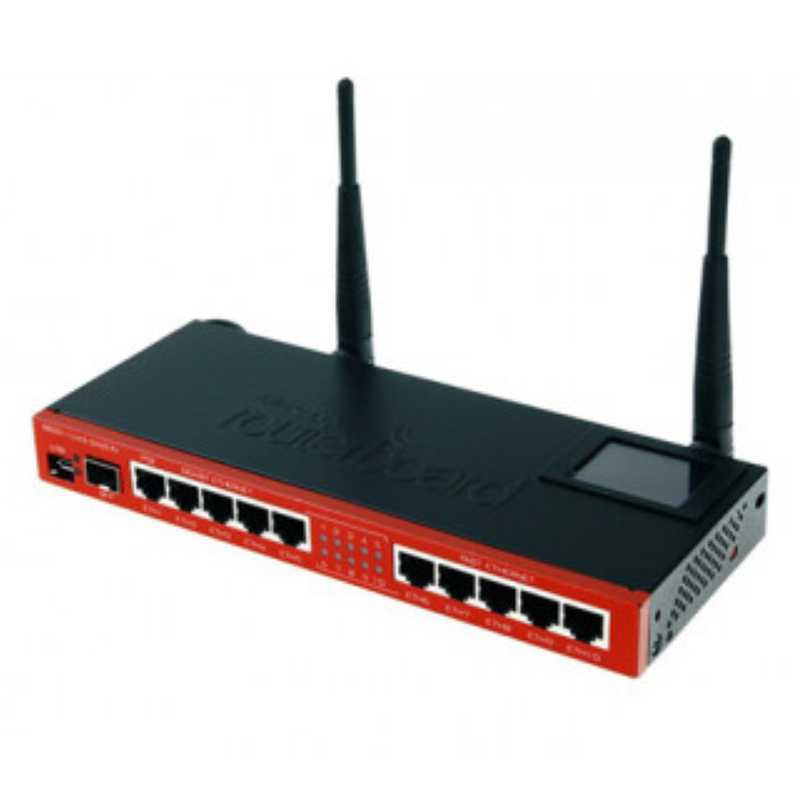 Do you have a basic set up, and want a VoIP system at the lowest price possible?